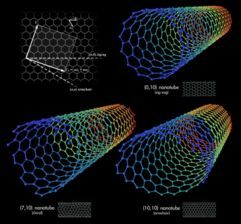 The physical properties of carbon nanotubes are among the main research interests of our group. Methods of investigation include optical spectroscopy like ( Raman, integrated and time-resolved luminescence and far IR spectroscopy ), as well as calculation of electronic and optical properties based on local density approximation approaches. 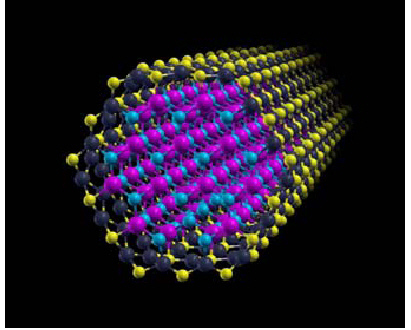 Our studies focus on the specific low-dimensional aspects of nanotubes, with the two-dimensional graphite as analogon that offers some insight into their physics. Part of the investigations are performed in cooperation with groups in France, Italy, Serbia and Spain on the basis of European projects. Carbon nanotubes with different chiralities.